What this is clearly about is a false memory of deja vu that recurs again and again without necessarily disturbing the victim. Although obviously disturbing, it is likely no more harmful than a nervous tic. What is curious is that it was subtle enough to not be recognized before. I suspect that once a victim is aware of the condition he will quickly learn to control the impulse as a minor annoyance and that this is why it has never been established. It also reminds us that deja vu is not to be trusted anyway, to say nothing of our wonderful memories. Salman Rushdie has the right of it in his quotation toward the end of this piece. Pat Shapiro is a vibrant woman of 77, with silver hair, animated blue eyes and a certain air of elegance about her. She lives with her husband, Don, in a white two-story Colonial in Dover, Mass., a picturesque town set on the Charles River east of Boston. After 56 years of marriage, Pat and Don have a playful repartee that borders on "Ozzie and Harriet," and her still-sharp mind is on display in their running banter. "Don, we haven't had an 'icebox' in years," she'll say, interrupting one of his winding stories. "It's called a refrigerator." Her short-term memory isn't quite what it used to be, she says, but it's nothing that impacts her life. "Her long-term memory is meticulous," Don says. "She can remember details from our trips to Europe years ago that I can't." One day last December, however, an odd thing happened to Pat Shapiro. She was sitting in a car outside of a store with her daughter Susan, while another daughter, Allison, shopped inside. From the front seat Pat noticed a woman who seemed intensely familiar getting into a nearby car with a baby. "I saw her last time I was here," Pat remarked. "That baby did that exact same thing." Looking up, Susan thought the comment strange; it seemed odd even that her mother had been to this store recently. Then Pat noticed another woman, smoking and chatting on a cellphone. "There's that woman who was smoking a cigarette, with the scarf on," she said. This time, Susan protested. "Ma, the chances of the other woman, who doesn't know that woman, coming to the parking lot, smoking a cigarette —"
"No, they were there last time," Pat insisted. She couldn't place when exactly she'd been there before, but she felt positive she'd seen the women. Allison returned, and as they left, Pat noticed two nuns on the sidewalk. They, too, she said, had certainly been there before. "Mom, are you O.K.?" Susan asked. "I feel fine," Pat replied. Worried, Susan called her father later that day and asked if Pat had ever claimed to recognize strange people or places. "Oh, it happens every once in a while," he said. Susan asked if the episodes bothered him. "Only when she is determined to make me think that something has gone on that way," he said. Later, though, Pat admitted to Susan that she was having such experiences frequently. As often as several times a day, in fact, she was struck with what sounded to Susan like an intense sensation of déjà vu, a familiarity with a place or situation that — logically, at least — she couldn't have encountered before. She would claim to recognize details of restaurants she'd never been to, and occasionally greeted total strangers as if she'd met them before. To Pat, in such moments, the familiarity didn't feel like déjà vu. It just felt like a memory. Like reality. Take a moment to remember what happened during your day yesterday. Images and sounds begin to flash through your mind: people you spoke to, places you went, meals you ate. One scene cues up another, leading you on vivid tangents as you cycle through the day. Now ask yourself: how do you know that you are remembering those images as they happened, not altering or inventing them? The question sounds inane at first; you were there, after all. But what is it about those images that makes them authentic to you? Try inserting a completely false memory into your day, say that of running into a celebrity. You can picture it, sure, but it doesn't feel real. Why not? Memory, like most systems we depend on continually, tends to fade into the background when it's working properly. Only when it fails or misleads us do we begin to ponder its mechanisms. The structure of memory has for centuries been one of psychology's most intractable mysteries. To the extent that science claimed to understand it at all, memory was seen as a kind of filing cabinet in which recollections were neatly stored, retrieved on demand and occasionally misplaced. The research of the last three decades, however, has shattered that metaphor. The Canadian cognitive psychologist Endel Tulving struck a significant blow in the 1970's, when he postulated a distinction between episodic memories — our recollections about our own experiences — and semantic ones, involving facts and concepts. Knowing the capital of France is a semantic memory, for example; recalling your trip to Paris, an episodic one. When we access episodic memories, Tulving further observed, we don't just call up raw information. We actually re-experience the events themselves, and that feeling of recollection is part of what tells us that the memory is real. "Remembering," Tulving summarized in 1983, "is mental time travel, a sort of reliving of something that happened in the past." Tulving and a group of fellow cognitive scientists — aided by advances in neuroimaging technology — began to tease apart the relationships between recollection and consciousness. They showed episodic memories to be a product of a complex network of signals, scattered across the brain and then reassembled, ad hoc, when the moment arises. Some of those signals, centered in an area of the brain's temporal lobes called the hippocampus, are now thought to be vital in creating the recollective experience that Tulving described. Simultaneously, psychologists began to demonstrate the myriad ways in which memories can and do go wrong — not only when we forget, but also when we incorporate distorted or false information. At the University of California at Irvine, Elizabeth Loftus conducted an important series of studies in the 1990's, in response to a wave of "recovered memory" child-abuse cases, showing that false memories could be induced in research subjects. In 1995, researchers at Washington University in St. Louis demonstrated that people who were read a list of words like bed, rest, awake, dream, wake and slumber, when tested later, would often definitively remember hearing the word sleep. Research into post-traumatic stress disorder found that PTSD sufferers can be tortured by distorted memories of traumatic events. All of this work converges today on an ominous question: How is it we can be fooled by memories that are simply wrong? The answer lies not necessarily in the content of our memories but in the experience of reassembling and recalling them. One way to try to understand that experience is by examining memory's tricks and illusions. "Memory doesn't just depend on a storehouse of knowledge, like putting cherries in a bowl and pulling out a cherry for each memory," says Morris Moscovitch, a prominent episodic-memory researcher at the University of Toronto. "What these unusual cases do is draw your attention to something that we only get a hint of in real life. This is a philosophical conundrum that has been struggled over for centuries: how is it that we distinguish ongoing experience from memory, and waking experience from dreams?" Pat's daughter Susan began to scour the Internet, looking for information about her mother's repeated déjà vu episodes. She eventually came across the work of Chris Moulin, a neuropsychologist at Leeds University, in England. Moulin and several colleagues had published two scientific papers describing something they called persistent "déjà vécu" — literally translated, the feeling of having "already lived through" something. The cases seemed to match Pat's condition, and Susan sent Moulin an e-mail message asking for help. Chris Moulin's office is located on the top floor of the psychology department at Leeds, in an oddly asymmetrical brick building at the center of campus. The room is cramped but spare, with a small collection of books in one corner, a pair of soccer cleats stashed under a chair and a set of framed Tintin cartoons on the wall. Moulin is 32 years old, with red, close-cropped hair, a matching beard and glasses and a penchant for jeans and sneakers. Today he's one of only a handful of scientists studying déjà vu-like illusions, but like most of us, he once thought of déjà vu as just an occasional, odd event in his own life. Translated literally from the French as "already seen," déjà vu can be, for some people, a strange and unsettling experience; for others, thrilling or even spiritual. Occurring at seemingly random times, lasting from a few seconds to a few minutes, it often comes with a feeling of approaching premonition. Not only does the situation feel familiar, but a vision of the future also seems just beyond the searchlights of your conscious mind. The accepted scientific definition of déjà vu, put forth in 1983 by a Seattle-based psychiatrist named Vernon Neppe, is "any subjectively inappropriate impression of familiarity of the present experience with an undefined past." Beyond the definition, however, the scientific understanding of this "inappropriate familiarity" remains murky. Religion and parapsychology have offered their own explanations, citing déjà vu as evidence for everything from clairvoyance to past lives. Because the phenomenon is difficult if not impossible to reproduce in a laboratory, though, researchers like Moulin have traditionally had limited means to dispel the conventional wisdom. At the beginning of his career, he says, "I didn't know anything about déjà vu, and it didn't really interest me." In December 2000, Moulin was a postdoctoral student in neuroscience at the University of Bristol, working at a memory clinic in a hospital nearby in Bath, when he received a strange referral letter from a local doctor. It described an 80-year-old Polish immigrant whose wife said that he was suffering from "frequent sensations of déjà vu." The doctor had suggested to the man — a former engineer identified by his initials, A.K.P. — that he set up an initial appointment at the memory clinic. A.K.P. responded that he had already gone and didn't see the point of going back. The problem was, as the doctor knew, he hadn't actually ever been there. He refused to read the newspaper or watch television because he said he had seen it before. However, A.K.P. remained insightful about his difficulties: when he said he had seen a program before and his wife asked him what happened next, he replied, "How should I know, I have a memory problem!" The sensation. . .was extremely prominent when he went for a walk — A.K.P. complained that it was the same bird in the same tree singing the same song.. . .When shopping, A.K.P. would say that it was unnecessary to purchase certain items, because he had bought the item the day before. Searching the modern scientific literature, Moulin found one case that echoed A.K.P. 's, that of an 87-year-old woman, who, according to a brief journal article from 2001, "reported that she was continuously reliving the past and felt that a significant part of her daily experiences had happened before." Moulin's mentor, Martin Conway, a pioneer in the understanding of episodic memory, also recalled a paper by the Harvard psychologist Daniel Schacter in the mid-1990's. Schacter had described B.G., a man in his 60's, who claimed to recognize people and situations he'd never encountered. Those cases persuaded Moulin that A.K.P. was more than an anomaly, and the clinic began sending him any patients with conditions that sounded similar. A month later, a referral letter arrived for M.A., a 70-year-old woman with what the doctor described as pervasive déjà vu. M.A. also found newspapers and television overwhelmingly familiar, and had even quit playing tennis, claiming that she knew the outcome of every rally. Moulin quickly discovered that in contrast to ordinary déjà vu experiences, in which the sensation instantly seems misplaced, neither A.K.P. nor M.A. recognized that something odd was happening. To them, the experiences simply felt like memories. "When we have déjà vu, we don't act on it," Moulin says. "But these people refused to watch television, they stopped reading the newspaper." The patients were what cognitive scientists call "anosagnosic" — unaware of their condition. They also found situations to be more than just familiar; they believed that they were really recalling them, so much so that they invented memories to justify that belief. They were, to use Tulving's phrase, time traveling to a reality that had never existed. The history of déjà vu is as much a literary tale as it is a scientific one. Writers and poets have long proved more astute observers of it than scientists, and mentions of déjà vu-like sensations date to St. Augustine, who wrote of "falsae memoriae" in A.D. 400. Sir Walter Scott described it as "a sense of pre-existence," and Dickens, Tolstoy and Proust each explored it in prose. Among scientists, déjà vu has traveled under a variety of names, including "paramnesia" and "phantasms of memory." The first flurry of research on the topic occurred in France in the 1890's, when prominent psychologists debated fine distinctions between various paramnesias. At a scientific meeting in 1896, the neurologist F. L. Arnaud proposed that scientists unify their descriptions under a single term, "déjà vu." He also recounted the unusual case of Louis, a 34-year-old who had recovered from cerebral malaria. Louis, as the Cambridge psychiatrist German Berrios wrote in a summary of Arnaud's work, "showed 'the first symptoms characteristic of déjà vu' when he started claiming that he could recognize certain newspaper articles that he said he had read previously." Louis felt that he "recognized" nearly every experience, a sensation he described as "I am living in two parallel years." Arnaud even took Louis to a funeral (Louis Pasteur's, as it happened) to see if he would claim to have remembered it. He did. With the rise of behaviorism in the 20th century, déjà vu research largely faded into obscurity. Freud postulated that the sensation was caused by the similarity of a present situation to a suppressed fantasy but declared the phenomenon too confusing to investigate. What studies have been done rely on questionnaires about past déjà vu experiences. Such surveys show that between 30 and 90 percent of people experience déjà vu at some point in their lifetime. Alan Brown, a psychologist at Southern Methodist University and the author of "The Déjà Vu Experience," the most comprehensive book on the topic, pegs the proportion at about two-thirds of the population. Researchers suggest that déjà vu isn't experienced until the age of 8 or 9 at the earliest, indicating that the phenomenon may require a certain level of brain development to either experience or describe. But once déjà vu begins, it becomes more frequent through our teens and 20's, and is more likely to happen when we are tired or stressed. Surveys show that the episodes then decline with age, although scientists are uncertain why — and the experience of Moulin's patients demonstrates that sometimes the condition actually increases in old age. In his book, Brown identifies as many as 30 plausible scientific explanations for the phenomenon, divided into "dual processing," "neurological," "memory" and "double perception" theories. Dual-processing explanations assert, essentially, that two normally separate brain processes are activated at wrong times. Imagine two heads of a tape player, one recording memory and the other playing it back. If the brain begins playing back while it's recording, the present might feel like a memory. Neurological explanations involve small electrical signals gone awry. If two signals carry information from the senses to the brain, the theory goes, a delay in the second signal might cause it to feel like a memory. So-called memory explanations involve the brain's misunderstanding a similarity between the present situation and an actual, true memory. Encountering a chair that resembles one from your grandmother's living room, for example, could trigger a feeling that a new place is somehow familiar. Under "double perception" explanations, finally, the brain is momentarily distracted after it has already taken in part of a scene. When its attention returns to the scene fractions of a second later, it suddenly feels like a memory. There's no guarantee that all déjà vu episodes have a single cause, and several of Brown's categories overlap. He says that, as with a condition like a stomachache, he "could easily be comfortable with four or five mechanisms." The essential feature in any déjà vu theory, though, is explaining the sensation. After all, déjà vu is much more than just familiarity. "You probably came into my office and thought, I've seen a desk lamp a bit like that," Moulin told me. "But it doesn't give you anything like déjà vu. You just think, Ah, yes, that's familiar. There's no startling sensation." It was precisely that startling sensation that A.K.P. and M.A. seemed to lack during their déjà vu-like experiences. Moulin and Conway concluded that the patients must not be experiencing ordinary sensations of déjà vu, but what the researchers termed persistent déjà vécu. Their hypothesis rested on the understanding, established in the wake of Tulving's research, that episodic memories consist of two aspects: the information content, or "memory trace," and an accompanying experience of recollection. It's that experience, a little bit of consciousness attached to a memory, that lets us know that we are calling up something from the past. If someone experienced that feeling constantly, without any memory trace attached, they would feel — as Conway describes it — as if they were "remembering the present." In other words, déjà vécu. Moulin set up a series of experiments to test the theory. In one, A.K.P., M.A. and 19 control subjects were shown a series of photos, some of random people and others of well-known celebrities. Later they were shown another series, containing a mixture of the old photos and new ones, and asked if each photo pictured either a famous person or someone they had been shown before. In another, subjects were read a series of words, followed by a mixture of those same words and new ones, and then asked which they had heard previously. The results were what Moulin had expected: compared with the control subjects, M.A. and A.K.P. 's false-positive rates were off the charts. They nearly always claimed to recognize faces and words they hadn't seen or heard. More important, they claimed not only to find the pictures and words familiar but also to actually remember seeing them. Often they even confabulated stories to justify those recollections. A.K.P. claimed that one random face was that of a local painter. "I know," he said, "because his tie is lower than it should be." Brain scans of A.K.P. and M.A. 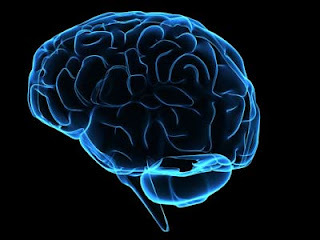 revealed abnormal levels of atrophy, or cell death, in their temporal lobes. Moulin knew that epileptics whose seizures are centered in their temporal lobes often experience a minutes-long "dreamy state" similar to déjà vu prior to their seizures. Moulin and Conway concluded that their patients' déjà vécu was similarly located in the temporal lobes, in a "recollective experience circuit" that regulates the process of remembering. If the circuit was "continuously active," it would keep feeding the brain that feeling of recollection, without any real memory attached. Could ordinary déjà vu be a minor version of the same thing, a brief misfire in a temporal-lobe circuit that sets off the feeling of remembering? "Somebody like A.K.P. shows that there is this sensation that is separate from memory," Moulin told me. "If his can go chronically wrong, ours can go momentarily wrong." After hearing Pat Shapiro's story from Susan, I visited the Shapiros at their home in Dover. Pat warmly ushered me inside, and we sat in the couple's formal living room. She told me that her déjà vécu-like experiences started in the last two years, coming and going with no apparent pattern. Once, a nurse had come to the house to conduct a physical for insurance purposes. "The first thing I said," Pat told me, "was: 'So nice to see you! I haven't seen you in a long time!' " She laughed — as she did following a half-dozen other such tales — recalling that only later did she realize she'd never met the woman before. Generally, she said, such episodes didn't bother her. I heard markedly similar accounts from a college counselor in Glasgow, Scotland, named Pam. Two years ago, Pam's 82-year-old mother began saying that the BBC was repeating television programs. She even called a repairman to examine her set. Soon she was complaining about the newspaper and eventually all kinds of situations. The week before I met with Pam at her office in Glasgow, she and her mother had been sitting in a cafe when a child began crying. "Mum said, 'She's always here, and always crying,' " Pam said. "I let it go, because I know it's not the case, and we go to the same place every week." Like Pat, Pam's mother is in otherwise good health. "It's sad and frustrating, because I can't do anything for her," Pam said. "The only thing that I can do is research it and tell her that she is not the only one." Like Pat's daughter Susan, Pam found Moulin's papers and corresponded with him. Both women said that talking to their mothers about the research seemed to reduce both mother's and daughter's anxiety. Moulin regularly receives e-mail messages from people experiencing something like déjà vécu, or from their relatives. The stories themselves begin to take on a familiar ring: the woman who turned in her library card because she felt she'd read everything on the shelves, the man on his first trip to Paris who felt he'd been to every part of the city. Moulin says there may be many other persistent déjà vécu sufferers, afraid to tell their doctors for fear of sounding crazy. The Bath clinic alone has found six new patients for a continuing study. When it comes to linking those patients to run-of-the-mill déjà vu, however, Moulin's work is not without objections from the small community of researchers with an enduring interest in the subject. The psychiatrist Vernon Neppe, founder of the Pacific Neuropsychiatric Institute, says that he believes that Moulin's patients are not actually experiencing déjà vécu, claiming that they don't conform with the definition of déjà vu, of which déjà vécu is a subset. "The Moulin research is difficult because there is so much confabulation," he told me. "It's a different type of inappropriate familiarity." Moulin says that he now regrets initially using the term déjà vu to describe the patients, as opposed to déjà vécu, the "ongoing" and "chronic" sensation. Still, he says, "That's what people come to their doctor and say: their husband or wife has got permanent déjà vu." Firmly establishing the experience of recollection that his patients exhibit, he says, will provide the theoretical underpinning for explanations of déjà vu — regardless of whether it is a real fragment of memory or a purely neurological glitch that sets it off. Another objection comes from Art Funkhouser, a psychologist based in Switzerland who conducts déjà vu research and from whom Moulin and Conway borrowed the term déjà vécu. Funkhouser, who is currently analyzing data from a thousand respondents to an online déjà vu questionnaire, has complained to Moulin that using the word "chronic" will stigmatize déjà vu as a disease rather than a quirk of the human mind. "The people he is dealing with are being affected by various forms of dementia," he says. "I just wish that he would be a bit careful in how he talks about it, so that he doesn't give the impression that anybody who has this must be sick." Moulin and Conway say that the sensation of memory that déjà vécu so aptly illustrates is just one of many "cognitive feelings," sensations that help us prioritize and act on our own thoughts. When those feelings go awry, they produce strange sensations. His latest experiments are designed to induce jamais vu — translated literally as "never seen" — the feeling that something familiar seems alien. Or take the aha! moment, a feeling you get upon solving a complicated problem. Aha! moments, which a team of researchers recently traced to activity in the temporal and frontal lobes of the brain, help us recognize a flash of insight. When we get the same feeling of insight without actually solving anything, we experience what's called presque vu, or "almost seen" — a misplaced sensation that everything makes sense. "I remember having it for cleaning my teeth," Moulin recalls, "thinking, Ah, yes, at the end of every day I clean my teeth! That just seems to have import. Like all life is cleaning teeth." Trivial as they may sound, such cognitive feelings often guide our behavior, and glitches in them can have profound consequences. In his 2001 book, "The Seven Sins of Memory," the Harvard psychologist Daniel Schacter explores the phenomenon of "misattributed memory," in which you remember some aspect of an event correctly but mistakenly recall the origin of the memory. Misattributions, says Schacter, "have been involved in a number of cases of wrongful conviction of individuals based on eyewitness testimony." The same subjective feeling of memory that led A.K.P. to believe his déjà vécu was real can trick eyewitnesses into believing flawed identifications, or fool research subjects into believing induced memories. Conway also studies PTSD, in which patients are tortured by traumatic memories that may be laced with distortions that can serve to compound feelings of guilt and helplessness. Accident victims might distinctly remember a moment in which they could have turned the car just to the left and avoided a collision, even if such a moment never occurred. "The recollective experience is the glue that sticks this all together," Moulin says. "People don't think they are making up these images. They think they are remembering them." Cognitive therapists, by understanding the recollective experience evidenced by déjà vécu, may be able to help persuade such patients that many of their negative images aren't real. The same is true for obsessive-compulsive disorder. "In order to cure those people, you have to train them about their memory," Moulin says. "They keep going back and checking the door, for instance, because they don't remember well enough having locked it. You have to say: 'Well, your memory isn't like that. It's just not that good.' " In other words, there's a limit to what you can expect from your memory. All of which naturally raises the question: Why are humans cursed with such imperfect memories? "Human cognition is incredibly, incredibly complicated," Conway says, "and you are bound to get glitches along the way. The question really is, How costly are those glitches? In terms of survival, having experiences of déjà vu now and again probably isn't such a big deal. But if you have a déjà vu all the time, then, like A.K.P., you can't operate effectively in the world." Such small glitches might even have proved evolutionarily valuable, giving us insight into our own minds. "One of the things about déjà vu in your daily life," Conway says, "is it does leave you wondering for about three weeks afterward what happened." Ordinary déjà vu is so striking precisely because our intellect is fighting against the feeling of recollection. "It's an immutable feeling," Moulin says, "but it's not immune to reason." Salman Rushdie once observed that memory has its "own special kind" of truth. "It selects, eliminates, alters, exaggerates, minimizes, glorifies and vilifies also," he wrote in "Midnight's Children," "but in the end it creates its own reality, its heterogeneous but usually coherent version of events; and no sane human being ever trusts someone else's version more than his own." To what extent persistent déjà vécu itself constitutes a challenge to a person's sanity, or even counts as a disorder, seems to vary. A.K.P. and M.A. eventually withdrew from the world, stopped watching television or even leaving their homes. But they also suffered from other age-related cognitive disorders. Moulin is still seeking an effective treatment for such patients, as both anti-Alzheimer's and antipsychotic drugs have shown no effect. But he suspects that the condition could be helped by therapeutic techniques. Preparing déjà vécu patients for novel situations they are about to encounter, he says, could actually help reduce the feeling that they've already experienced them. Ordinary déjà vu, of course, isn't a disease, and even déjà vécu-like conditions seem to vary in severity. "I think the persistent or continuous déjà vu that Moulin is looking at is found in people with normal function who are not disturbed or out of mainstream," Alan Brown says. Pat Shapiro, to all appearances, is such a person. She lives a rich life, her mind intact, and she claims to be mostly unbothered by her condition. Her daughter Susan worries that the episodes tire her mother out, as she tries to puzzle out when she has been somewhere or met someone in the past. Mostly, the family tries to laugh about the incidents. "We're lucky that she can have a sense of humor about it," Susan says. One afternoon in Dover, in the midst of relating her déjà vu experiences, Pat Shapiro paused and took off her glasses, looking at me intently. "I have to say, you look so much like my grandson," she said. "He has a little bit longer hair, but you look so similar. When I saw you get out of the car I just thought, Oh!" "But wait," I asked, "couldn't that have just been a déjà vu?" "No, it was just that you looked so much like him," she said. My face must have betrayed a hint of skepticism, and she quickly moved on. Don came in a few minutes later, and soon he, too, paused. "I have to tell you one other thing," he said. "You look so much like our grandson, it's amazing." I looked at Pat, who smiled knowingly. Later, at Susan's house, she showed me a photo of the grandson in question. It was like seeing an image of myself, from a time that never happened. Evan Ratliff is a writer in San Francisco and the co-author of "Safe: The Race to Protect Ourselves in a Newly Dangerous World." This is his first article for the magazine.